This verse is so brilliantly reflected by the youth that I have had the privilege to work with while in the Interim RYC Coordinator position. The Regional Youth Council (RYC) is a group of high school age youth from the different Moravian churches throughout the Southern Province. They meet monthly to plan events for the province, grow in their faith, and build friendships with other Moravians their age. I was in RYC when I was in high school and have fond memories of my time as a representative. Being on RYC was the highlight of my high school career; I met my best friends through RYC, I was surrounded by other Moravians, and had a blast laughing at Brad Bennett and John G. Rights try to “out pun” one another. For me, RYC was more than just a monthly meeting, it was my life. When I accepted the job offer as the Interim RYC Coordinator, I was really excited and hopeful about the summer for many reasons. I wanted to make sure the youth that are currently in RYC have as amazing memories as I did. After sitting down with the adult advisors of RYC, we discussed different ideas on what the youth might enjoy for this coming year. After leaving this meeting, I got to work to put these ideas in place. I have spent time coordinating the time, place, and activities of this coming year’s events. I have also worked on compiling a list of all the RYC reps from the different churches. Every year, with seniors graduating and new freshmen rising, we have a new set of youth involved in the group. This brings me to my favorite part of the job: the youth!!! Since RYC doesn’t meet in the summer, I haven’t had a lot of time to spend with the current reps, but I was lucky enough to tag along with Doug to the last few events of the 2016-2017 school year. These kids are amazing!! Watching them interact with each other, as well as the adult advisors is inspiring. There is such hope and joy in their conversations. Asking the youth about their plans in life, where they wanted to go to college… what they wanted to do to was uplifting and encouraging. Seeing this really encouraged me to plan this next school year. As many of these youths move on to college or explore their career choices, and even the ones still in high school, I hope they remember their time spent in RYC. Remember the lessons, laughter, friendship and fellowship. They are ready to take on the world, and God has great plans for them. 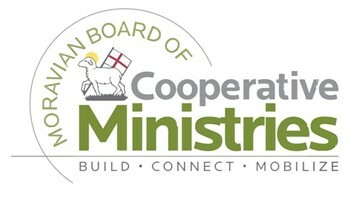 Hanna Jackson is the Interim RYC Coordinator for the Moravian Board of Cooperative Ministries (BCM). She attends Calvary Moravian Church in Winston Salem. In her free time, she enjoys running, hiking, baking, and crafting. I would like to tell churches with the Moravian Southern Province of a “hidden treasure” that is available to you and your church family. This valuable treasure is our Resource Center, located at 500 South Church in Winston- Salem, near Home Moravian Church in Old Salem. 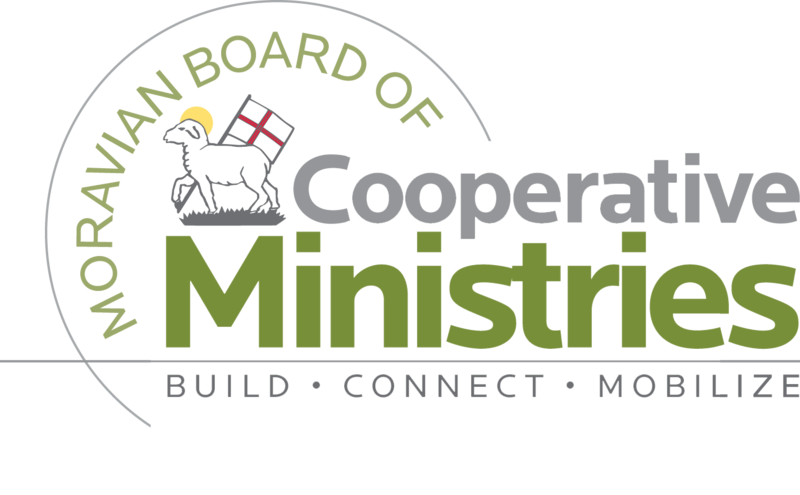 The Board of Cooperative Ministries (BCM) offer this service to all Moravian churches in our Province, and our ecumenical partners as well. The Center can provide congregations with a variety of curriculum for Vacation Bible School, Sunday school material for all ages, Bible studies or any special class you might be having. They have books and DVDs available for you to check out. Materials can be previewed online, for your convenience at Resource.Moravian.org. Beth Hayes, the materials coordinator of the Resource Center, is available to help you locate just the right material for your group. Our congregation, New Hope Moravian, located in Hickory, is a small, yet spirit-filled, active congregation. The Resource Center is such a blessing to us! We have at our fingertips the newest materials at no cost. This is a tremendous savings to our congregation in addition to providing us with up-to-date curriculum. We have also used the Resource Center as a resource to purchase additional hymnals, Bibles and Moravian Daily Texts. Check out the materials that are available to you at this hidden treasure. You may call the Resource Center at (336) 722-8126 or visit the Moravian Resource Center online at Resource.Moravian.org. Note: David Holston is the Executive Director of Sunnyside Ministry, a ministry partner of the Moravian Board of Cooperative Ministries (BCM). This past Sunday we celebrated communion in my congregation. It was in memory of the martyrdom of John Hus, the spiritual forefather of the Moravian Church. There, for a brief period, we all gathered at the table together. When we partook of the bread and the cup, the officiant says three times during the service: “Do this… in remembrance of me”. This phrase resonated with me this past weekend as I thought about all I am through the grace of Jesus Christ. First, I remember that through the crucified Christ I am saved. This is a very important thing to remember. But as I thought more about this, I was led to the many lessons taught by Christ. I must say that I am often drawn to the passages about how we treat others. It is related to my daily life and my thinking. Take a few minutes and think about the last time you took communion. In the Moravian Church we practice an open communion; if you are a communing member of any church you are welcome at our table. What resonates with you when you take communion? In the 1970’s there was a Coca-Cola commercial with all sorts of people gathered in lines singing “I’d like to teach the world to sing, in perfect harmony!” Imagine a world where we all held hands and sang songs and shared a Coca-Cola. Sadly, today it feels unlikely to happen. Someone would be offended by the person standing beside them; others would make fun of the one standing a few feet away. Some might even say, “this person is too sick to stand near me!” In reality, we know people are not always singing on mountain tops or in perfect harmony. Sadly, harmony does not exist in some cases between communing Christians. We can’t always agree to come to the same table. If we always did, there would be little to no hunger in this or any community. In the last six days, we have had four people shot just a few blocks from two Moravian Churches and Sunnyside Ministry. At Sunnyside Ministry, the other day alone, we saw two females who have just escaped domestic violence. Additionally, Sunnyside has provided groceries for over a hundred families. Can we, create a table where all are welcomed, even our enemies? We can. Will it be easy? I think that it would be easier than we think, but only if we do this in remembrance of Christ. David Holston is the Executive Director of Sunnyside Ministry. Sunnyside Ministry is a non-profit organization that provides food, clothing, and emergency financial assistance to families in crisis. All funding for our assistance programs comes from donations and grants. In 2014, Sunnyside Ministry provided $1,883,040 worth of services to families in crisis situations. Grocery orders were provided to 17,634 people and clothing to 15,483 individuals. To learn more about Sunnyside Ministry, subscribe to their email newsletter here.